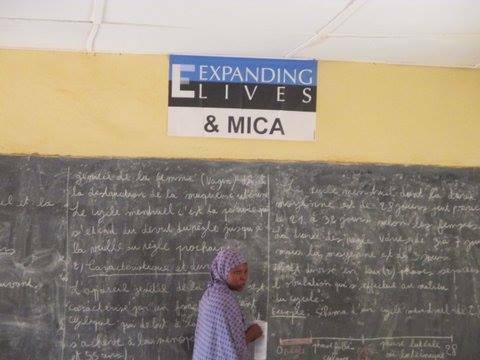 Expanding Lives' partner organizations in Benin and Niger distribute applications to high schools. Applicants must be female, first generation high school students, and excellent students. Applicants are notified by phone of their acceptance into the program. They are encouraged to discuss participation with parents, teachers and others in the community, including past partipcipants. Participants get all their affairs in order, including passports and visas to the US. They start practicing English and talking with past participants to prepare for the intense program ahead. Once the participants arrive in Chicago, they join American teens and Expanding Lives leaders at a retreat center for several days of acclimation. Returning to the Chicago-area, participants meet host families, teachers, and other volunteers at the opening party, then go home with their hosts. The following day they learn public transportation and courses begin. The scholars participate in intensive classes 6 days a week and spend with their host families. Once participants return home, Expanding Lives stays in contact through phone calls, texts, letters and through our on-the-ground partners. We encourage community participation and continued education. Expanding Lives gives small financial support for tutors in the exam year of high school. Girls who attend university are given small support grants to help with materials and transportation. Second year university students are given laptops. As our girls move into the professional world, Expanding Lives is also moving toward arranging internships, informational interviews, and other connections with professionals. Scholars return home and provide training to hundreds of girls in their own communities and surrounding villages.